The famous French ski resort of Avoriaz occupies a favourable position on the south-facing plateau. This popular ski resort is located in the heart of the Port du Soleil ski area, which provides access to 650 km of ski slopes in the region. Also, Avoriaz is among the ten most snowy European resorts - the snow cover here is guaranteed from December to April, and the average snow height is 8 m per season. This is a resort without cars, with "clean" electric heating, "skiing from the door" and the most modern infrastructure. Here, the pristine Alpine nature, reminiscent of landscapes from fantastic films, and great opportunities for skiing and snowboarding, for active and family holidays. In 1960, on the former high-mountain pasture, an excellent base for winter sports was built, perfectly blending into the local landscape. In the following years, this mysterious landscape attracted to filmmakers, and film festivals were held here. Situated between steep cliffs and gentle slopes, as well as between France and Switzerland, at an altitude of 1800 m, Avoriaz, thanks to its predominantly wooden architecture, perfectly harmonizes with its surroundings. As the top and centre of Port du Soleil, the Avoriaz base has become an ideal starting point for the world's largest international combined ski area, with 14 ski resorts and 283 trails. There are no direct train connections to the resort itself. If you’re travelling by train, Cluses station is the closest stations to Avoriaz, from which transfers can be arranged. The time of transfer to the resort is approximate because the transfer time could be impacted by traffic conditions and current weather also. Our clients can be sure for 100% in the most fare basic transfer rate. Alps2Alps always does everything possible to ensure that our rates for shuttle services will be available at any time. Even during the high season, we still guarantee the most attractive prices for all our services. Alps2Alps never overstates prices for our clients at any time, we consider as many factors as possible to lower our standard rates. We always recommend booking transfer services in advance in order to get access to the best offers. We usually offer significant discounts for transfers in off-peak season and for mid-week transfers. If you are looking for the best deals, travelling outside of the peak season or in the middle of the week leads to biggest savings (for example, transfers at working days from Monday to Friday are usually with a discount of up to 60% than the weekend prices). Your quote will also depend on the availability of the car, the transfer schedule, the use of the vehicle and some other costs (tolls and parking fees at the airport). If you still have some questions or any specific requirements that you want to discuss, please contact us directly. Beautiful snow conditions in the vicinity of Avoriaz will bring pleasure to skiers of any skill level, and to snowboarders and ski runners. Starting from the green ski runs for beginners directly inside the Avoriaz base up to a dashing, steep route with the hillocks "Mur de Chavanette" or "Swiss Wall" below the Chavanette pass! Avoriaz in France is an ideal holiday destination for children. In the centre of the resort is the "Children's Village" - a gaming centre for children from 3 to 16 years old, with a school that teaches skiing and snowboarding through games and entertainment, a children's restaurant and a variety of recreational activities. For children, there is also a kindergarten "Les Petits Loups". The resort has sports schools: the international school Avoriaz Alpine Ski School, the school of skis and snowboard Evolution 2 and the French ski school Ecole de Ski, which trains skiing and snowboarding for adults and children from 3 years. One of the main features of recreation in Avoriaz is a variety of evening entertainment. The resort has 35 restaurants with the French and Swiss cuisine, 11 bars, 4 discos and nightclubs, many shops and boutiques, a video bar, karaoke and a cinema. Don’t doubt to choose Alps2Alps for getting to the ski resort, if you want to arrive on time, with comfort and pay the most beneficial price for your transfer. 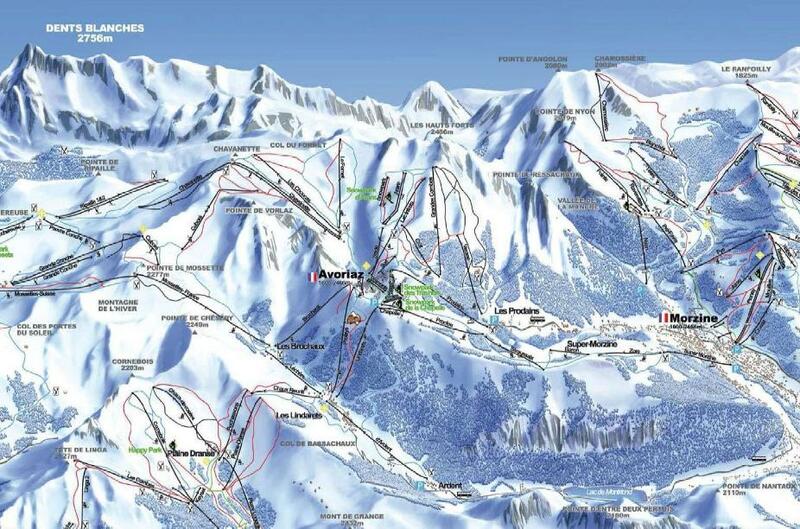 Sure it will be better to book a transfer to Avoriaz as early as possible. Why? The answer is simple: for getting the best value of money. Just call our customer service team or fill out the online request form.